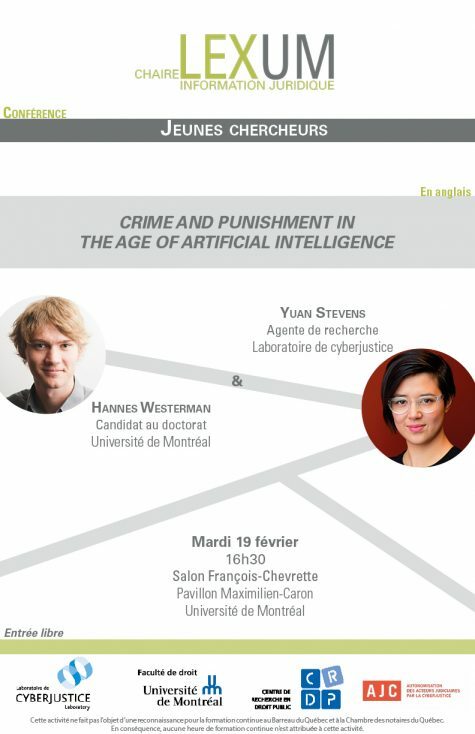 Yuan Stevens holds a B.C.L./LL.B from McGill University and is a researcher at the Cyberjustice Laboratory (Université de Montréal), focused on the Autonomy Through Cyberjustice Technologies (ACT) project. She also serves as a co-investigator for an independent project at Data & Society Research Institute, where she is conducting ethnographic research on « bug bounty » participants as an emerging occupational community. She serves on the board of directors for Open Privacy Research Institute, Head & Hands in Montreal, and previously worked at the Berkman Klein Center for Internet & Society at Harvard University. Ce contenu a été mis à jour le 26 février 2019 à 11 h 42 min.